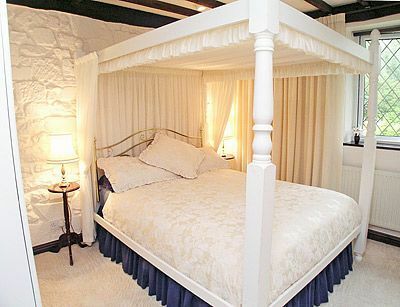 Dunchideock Barn is a spacious, one bedroom stone barn, converted from a 250 year old property. It retains many original features such as beamed ceilings and is well furnished. Luxurious Shower Room and superb Kitchen. Electricity by £1slot meter. Full oil fired central heating, bed linen and towels included in rent. Two colour TV's, Digibox, radio stereo CD player. Freezer and Microwave. Washing Machine and Tumbler dryer facilities. Electric Sun Awning, Lawned Garden, Garden Furniture, Pond and private parking for one car. 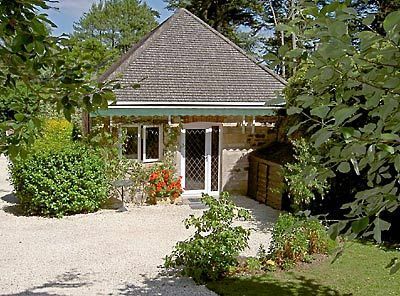 Situated in a quiet country lane ideally located for exploring the Cathedral City of Exeter, the stunning Dartmoor National Park and the wonderful beaches of the South Coast of Devon. Non Smokers please. Dunchideock is a small village, 4 miles south of Exeter, Devon. We are located 3 miles from the A38 at Haldon Hill/ Exeter Racecourse exit, down through the Haldon forest, past the Laurence Castle, Belvedere Tower. The newly opened Haldon Belvedere Forest Nature Trail is 1 mile away, with Forest Walks and Panoramic Views. Canonteign Falls is only 4 miles distance, set in the Teign Valley. Bovey Castle Golf Course. Bovey Castle and Golf Course are situated approx.15 miles away in the Dartmoor National Park. Dawlish Warren Golf Club. Dawlish Warren Seaside Resort is approx.11 miles away, with the Golf Club situated next to the Wildlife Conservation area. Teignmouth Golf Club. This is the nearest Golf Club to us, approx.9 miles away, overlooking the Sea.